Today Universal Orlando announced that that a new action packed experience is coming to Florida in 2017: the “Fast & Furious: Supercharged”. This new attraction will combine an original stroyline with innovative ride technology and let you experience some of the high-speed chases famous from the Fast & Furious movie franchise. You will be getting glimpses of the super charged cars and the headquarters of Toretto before you board your vehicle for a thrilling ride with the stars from the films. 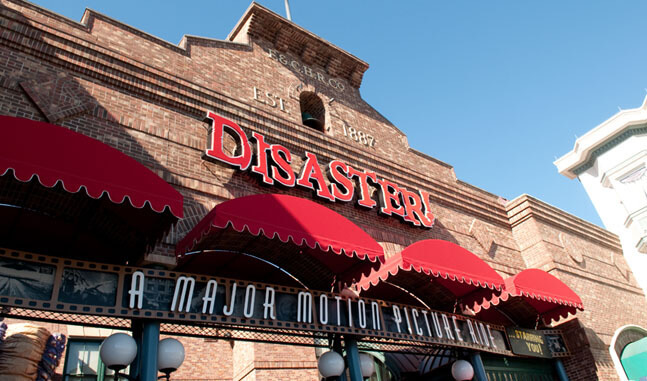 To make way for Fast & Furious: Supercharged, Disaster: A Major Motion Picture Starring You! will close permanently on September 8, 2015, with Beetlejuice Graveyard Revue closing later this year. And let’s be honest, the Earthquake attraction without Earthquake just wasn’t the same. I never did it when it was called Earthquake. I was too scared as a kid. It was one of my favorites as Disaster, however, solely due to the utilization of Christopher Walken. The use of The Rock was also pretty clever. Unless those aspects were a part of Earthquake, I would say that the upgrade to Disaster was well worth it. What, would you say nobody misses Kongfrontation, just because THAT was based on “an old 70’s movie nobody remembers”? More like…Harry Potter is a gold mine, and this is in the way. Still wish we could have it back. Shame about disaster – we were there beginning of the summer and it was good campy fun: something that Universal is a little bit lacking in with jaws and king kong both going away. Beetlejuice should close now. Straight away. Yesterday. That was bloody AWFUL. I have to admit, I did NOT see Disaster leaving. I’ve been hearing Twister on the chopping block, but I didn’t see Disaster. That being said, I am excited for this. I just REALLY hope that the graphics aren’t like the ones in Hollywood. Those SUCKED!! So disappointing that Universal would chose to get rid of the BEST live show they have to make room for another ride! My entire family greatly enjoys going to Beetlejuice s show every time we go to Universal and we are pass holders! 1) Pleaaaase can Universal Parks stop with Fast and Furious already!!? 2) I am not excited by the prospect of a themed environment built to look and feel like a real world derelict shed in LA. If I wanted i’d just go to one of those. Theme parks are supposed to be about escapism! 4) Can we please just have a tram tour back in Orlando instead of Universal taking pieces designed for Hollywood’s tram tour and plonking them in Orlando as independent rides? 5) The above all said, I welcome all development in the parks, and I know Universal will do a great job, so i’ll hold any further judgment until i’ve ridden it. Who wants to bet that the F&F attraction will feature a lot of staring at a screen? Though there was the brief video in the tram, Disaster was a refreshing break from screens and one of the few attractions where you actually interact with other people. It was great. Though it is amazing what technology can do, Universal has gone too far away from physical rides. Are they going to demolish everything that doesn’t involve screens?